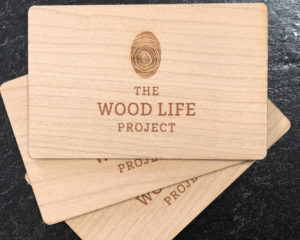 Sustainable Wooden Business Cards Printed on Real Woods. 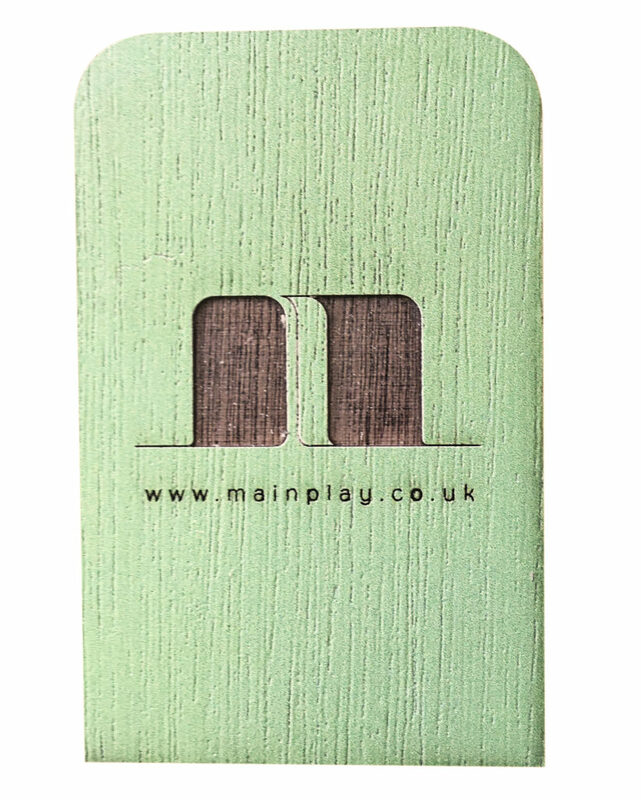 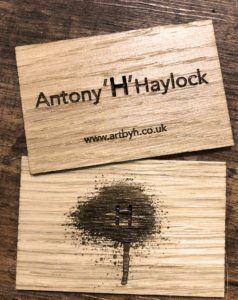 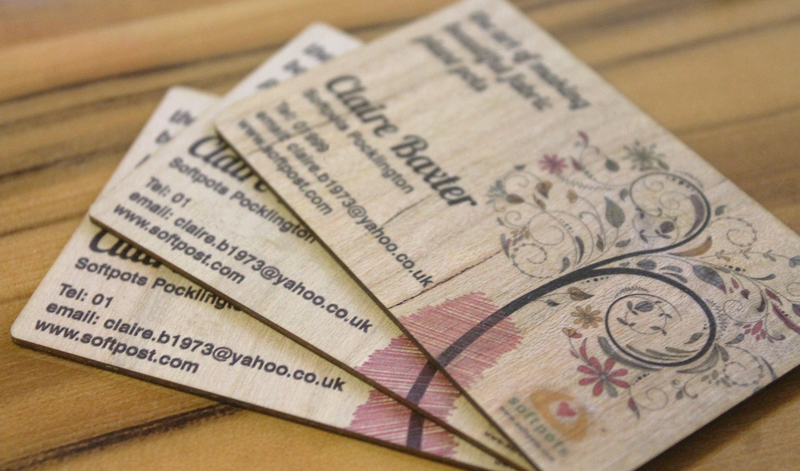 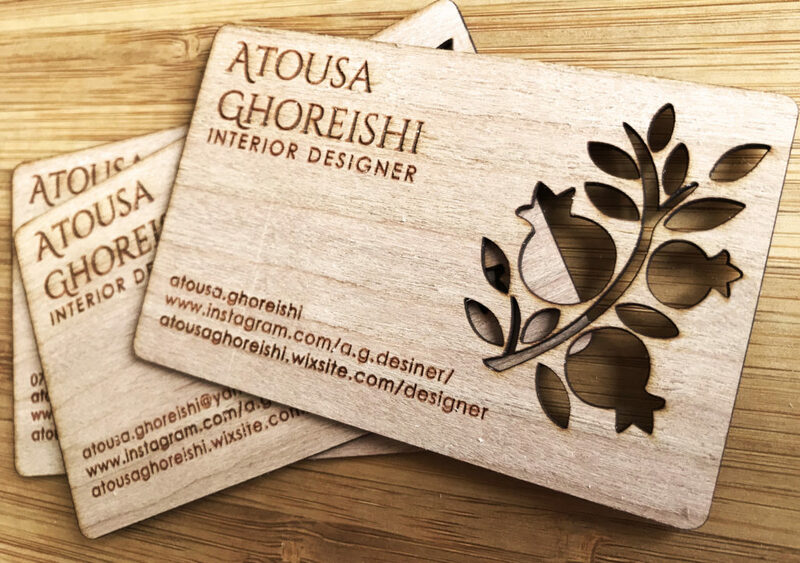 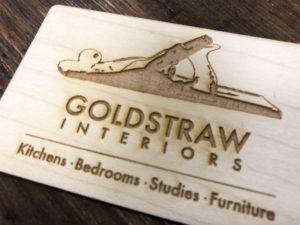 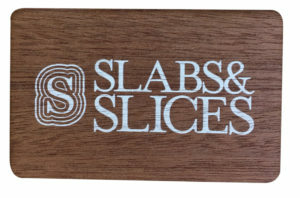 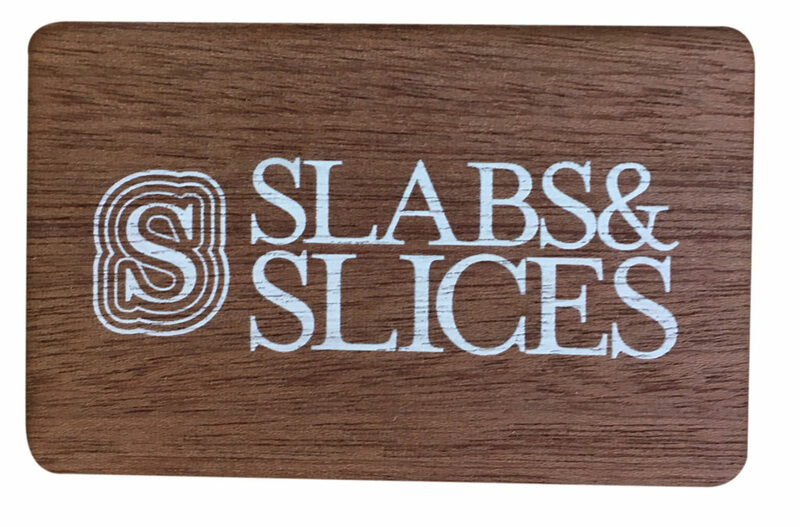 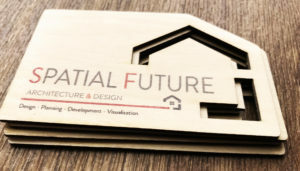 Inspirwood are the UK leading producers of printed and lasercut wooden business cards. 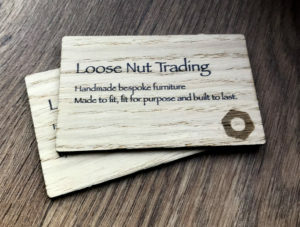 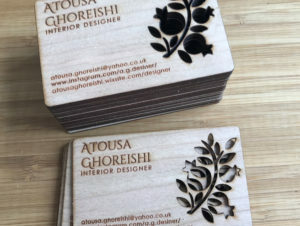 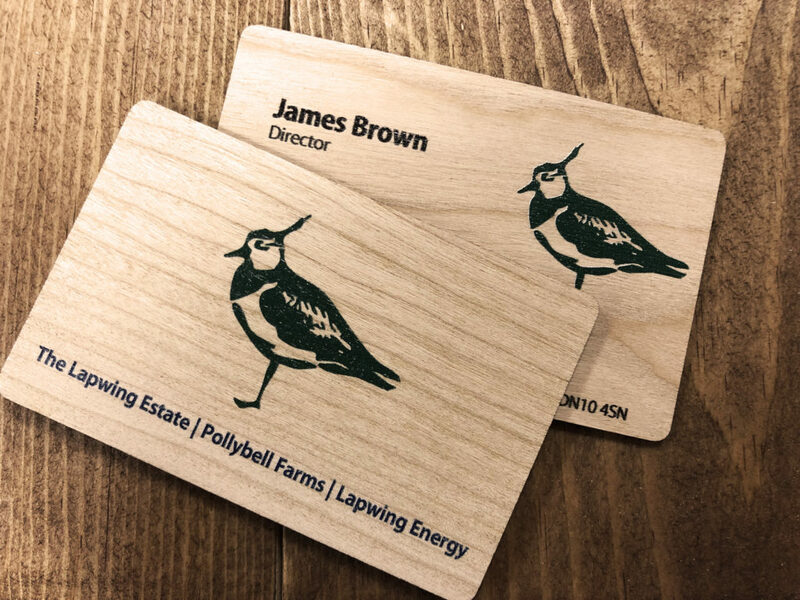 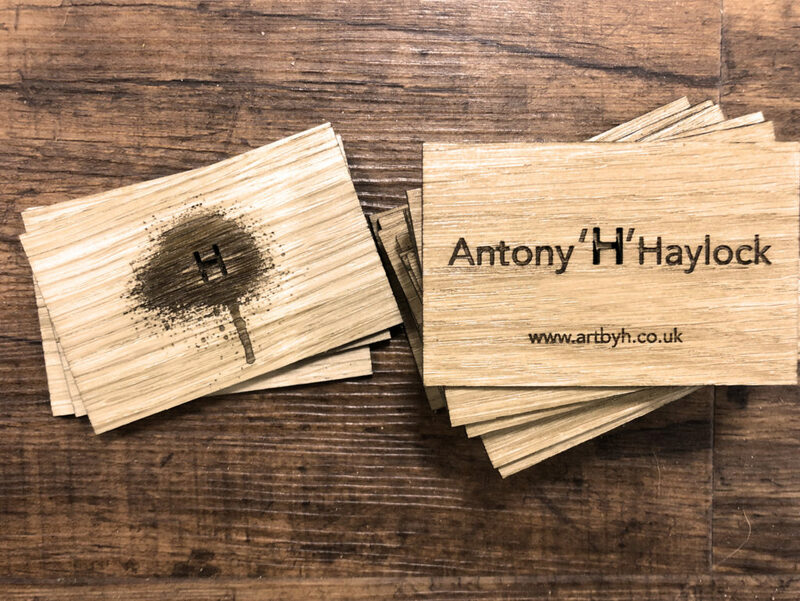 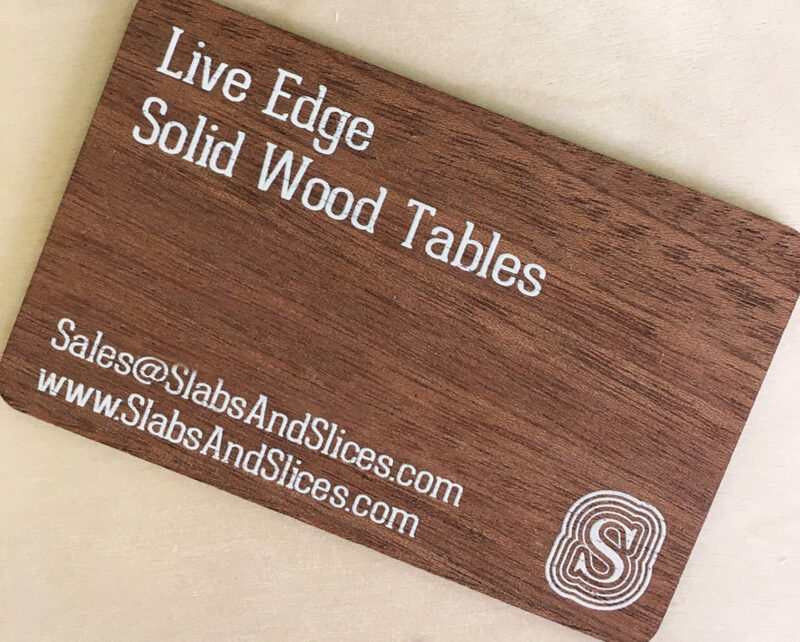 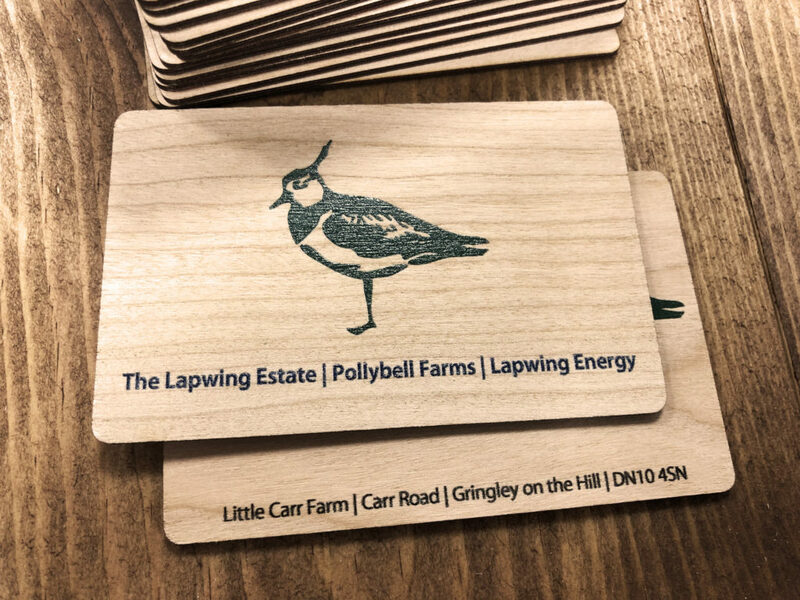 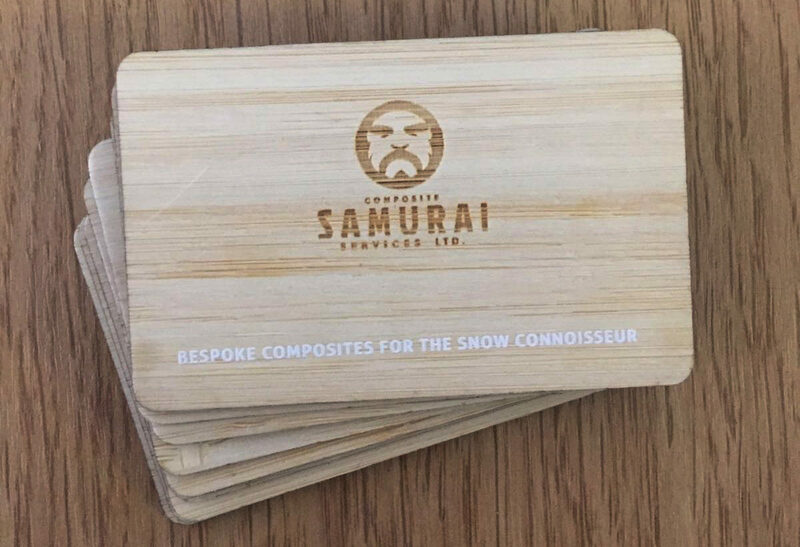 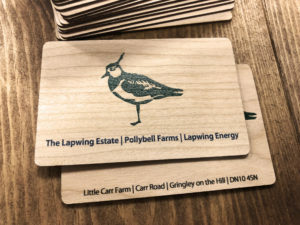 Made from real, sustainably sourced wood, our wooden business cards look professional and give you that WOW factor when handing over your cards to a new or existing prospect, giving you an instant topic of conversation and helping to make the right statement. 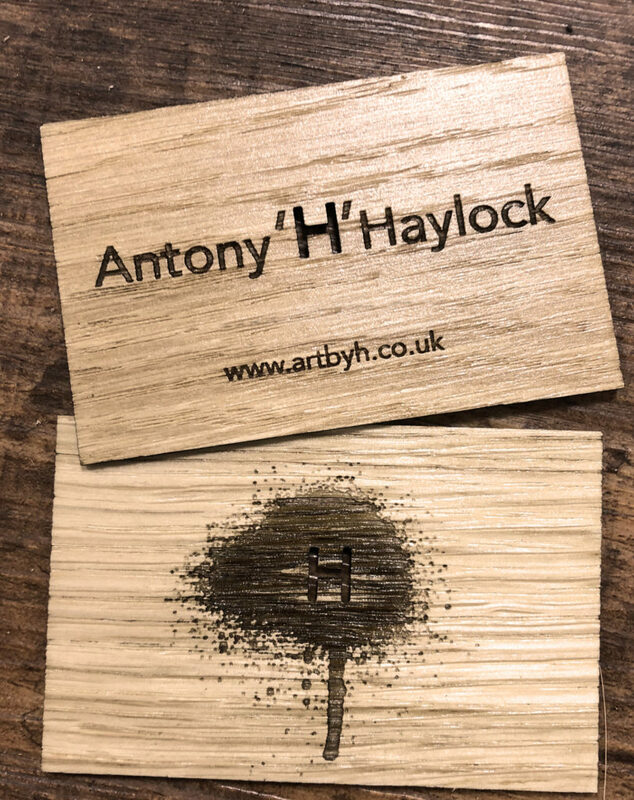 We also find that as business cards made from our woods have an inherent value, they are very rarely thrown away, and often sit in pride of place on the recipients desk. 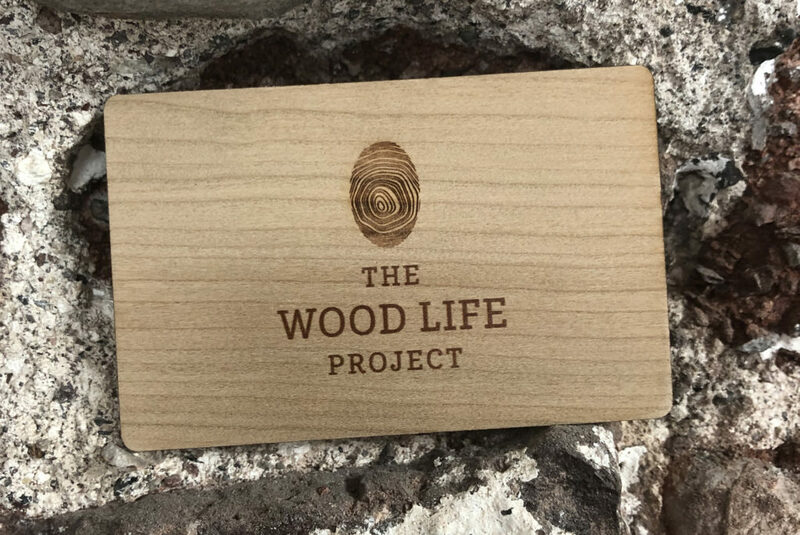 Inspirwood realise that you wouldn’t want to hand out 1000’s of these every week so we offer a minimum run of only 40, but – we have no maximum, so if you wanted 800,000 – that’s not a problem either. 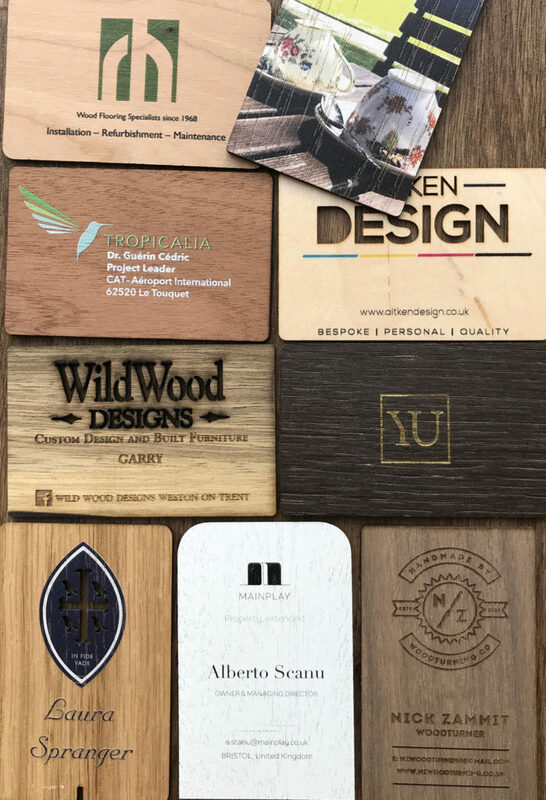 What’s more – we can also split any quantity you need with other people’s names – so if your sales team each want some – we can help. Want to have some wooden Cards?